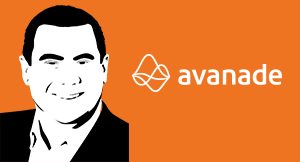 To increase productivity and competitive advantage in a hyper-connected world, there are two fundamentals, we at Avanade, believe companies must embrace: firstly, increasing diversity in the workforce; and secondly, creating a flexible digital workplace where business processes and work are tailored to the context of each employee’s industry, role, location, and tasks. A true digital workplace has proven bottom line impact and paired with diversity and fuelled by inclusion these can be the differentiators that enable companies to attract, retain and realise value from the best talent globally. Research in 2013 by the New York-based Center for Talent Innovation found that publicly traded companies with greater diversity were 45% more likely than those without to have expanded market share in the past year and 70% more likely to have captured a new market. And more recently The American Sociological Institute released data that a 1% increase in gender and ethnic diversity demonstrates a 3% increase in revenue. But we don’t need to convince you, the evidence clearly demonstrates the link between diversity and business success. Allowing people to bring their whole self to work allows them to bring their best self to each and every task, project, client interaction or activity they undertake. Intentionally building teams to attract people with different learning & working styles, orientations, backgrounds and genders leads to innovative solutions which challenge the norm and offer out of the box thinking. We firmly believe that diversity drives innovation and inclusion fosters creativity. Encouraging inclusive workplaces leads to more creativity which ultimately means better customer and employee experiences. 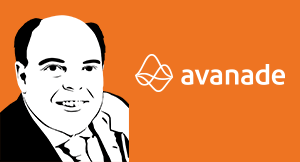 Avanade is not alone in our thinking as demonstrated by a recent global survey of C-level executives and IT decision-makers. A key factor in our own diversity efforts increasingly depends on our digital workplace, which provides a flexible and collaborative environment to help attract, develop and retain the best talent. A digital workplace doesn’t just benefit diversity. As we know, the expectations of all professionals about the way they work has evolved. Everyone is accustomed to having very digitally enhanced experiences outside of work and they now demand the same within the workplace. Moving forward, a digital workplace will become even more of an imperative, with research showing 70% of people feeling healthier working outside of a traditional office space. Yet, confusion remains about what a digital workplace is. Accessing work emails on mobile devices, using voice over IP for business calls, or tracking company news on social media is second nature to professionals today and many mistakenly believe this constitutes a digital workplace. However, achieving continued productivity and competitive advantage require more significant changes to the way people work. Many organisations are taking advantage of digital to engage customers externally, but they must also focus on using digital technologies to create an intelligent context for employees internally – tailoring business processes and work to the context of each employee’s industry, role, location, and tasks. Embracing a true digital workplace is how companies will unlock the full value of diversity within the workforce, enable an inclusive workplace and improve productivity to remain relevant in our competitive and hyper-connected world.